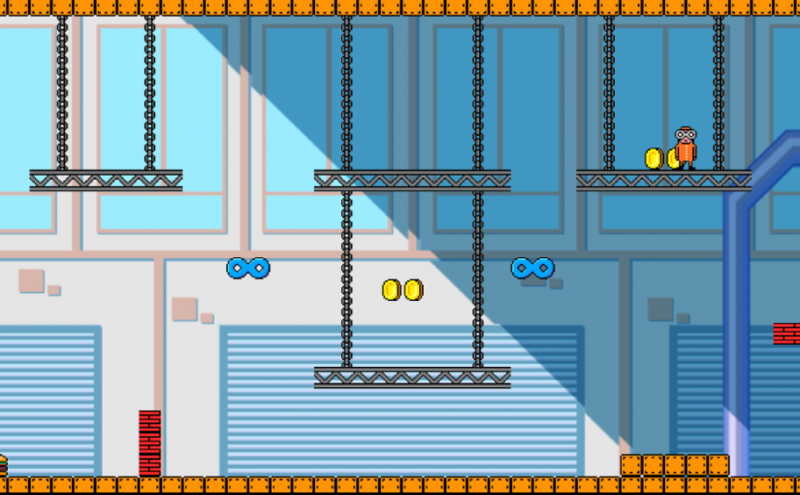 I made this game together with Rasmus and Nils at Goo. It’s a kill ’em all multiplayer game with support for up to 4 players. We used the Gamepad API directly, which means that it doesn’t work perfect in all browsers. 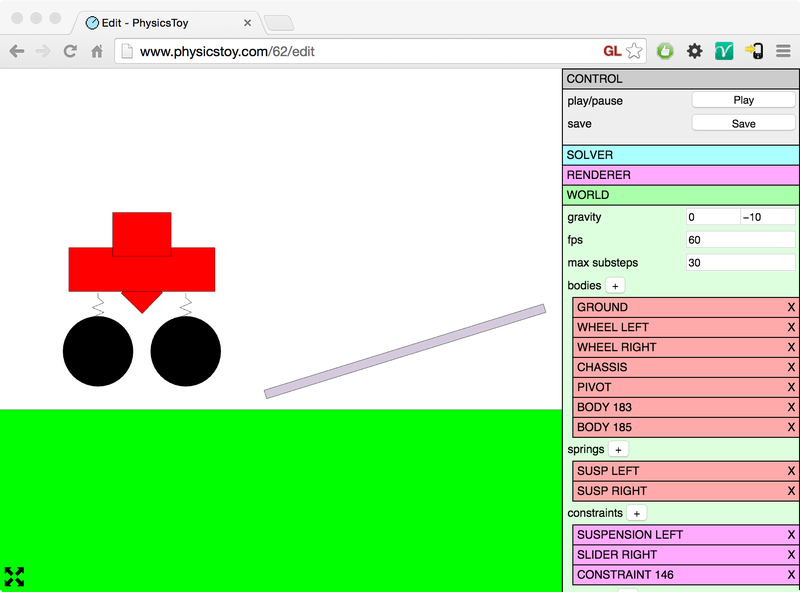 The game uses a new SpriteSystem that I made for Goo Create and the physics is from p2.js. 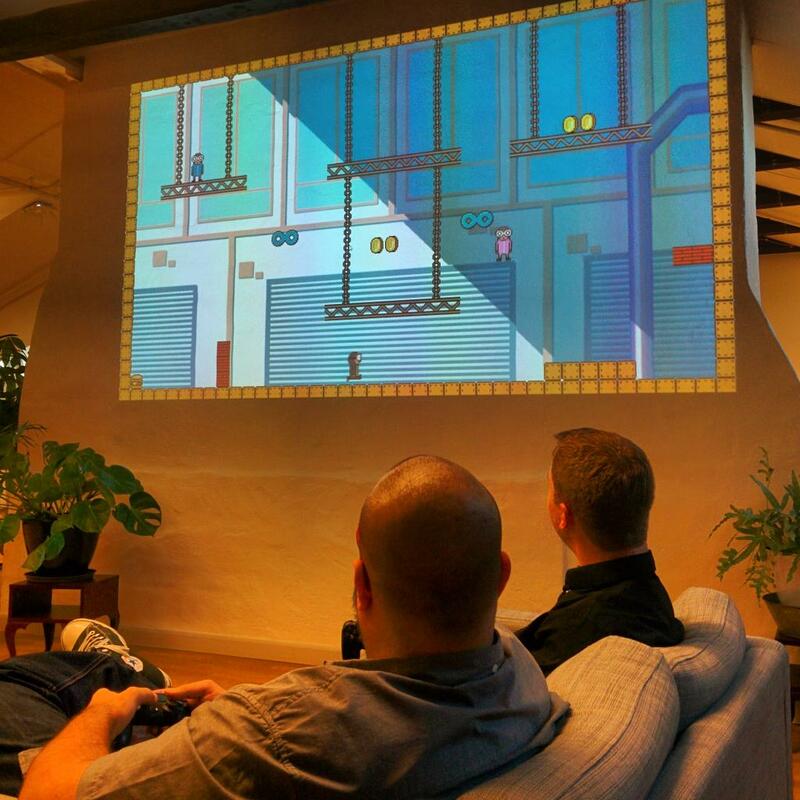 Here’s the Goo team playing the game when we first presented it. It was buggy but fun! It was the longest presentation of the day since we didn’t want to stop playing. I made the tile graphics. Should probably start a career as a 2D pixel graphics artist! The game was made entirely in Goo Create. By flipping a boolean script parameter while working on the game in Create, it launches a custom level editor that lets you design levels and export them as JSON. The JSON can then saved back into Create to be included in the levels list. 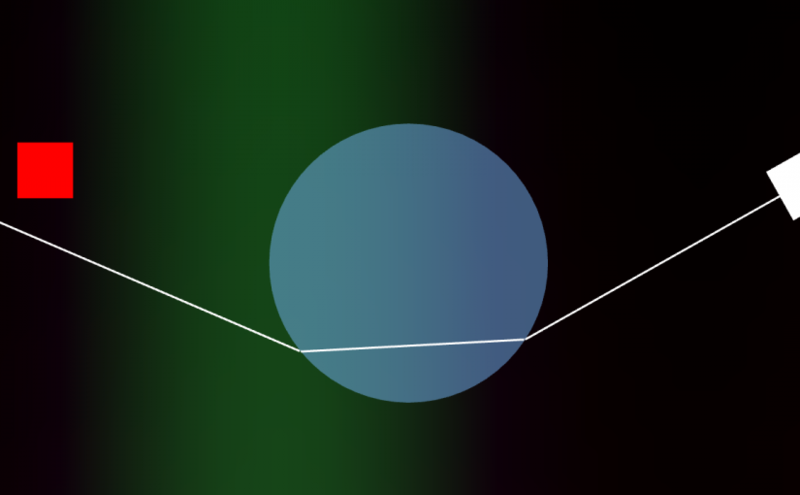 The backgrounds are procedurally generated on the fly with some randomness added. I used texgen.js for this. I noticed that it uses a bit of CPU while generating large textures, so a future optimization would be to make a custom shader instead. Because the game is very static when you don’t touch anything, it was possible to pause the render loop fully between interactions. This saves a lot of battery while on mobile. I made a WebGL demo for the Fuffr hardware. 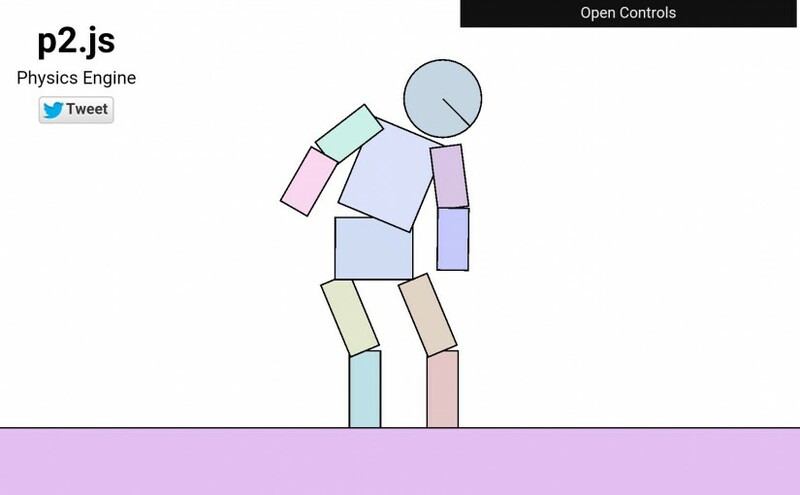 It’s a simple boxing game featuring awesome graphics made by Joakim at Goo, and the new physics components in Goo Create. 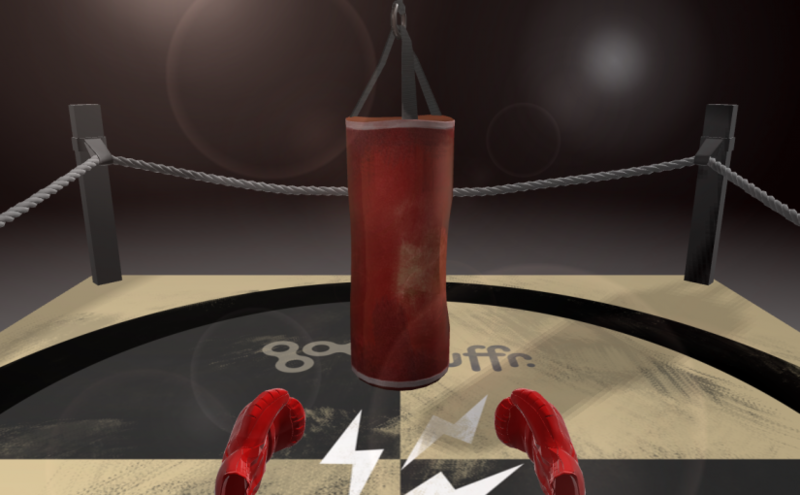 Start Fuffr 3D boxing (also works on ordinary touch screens). 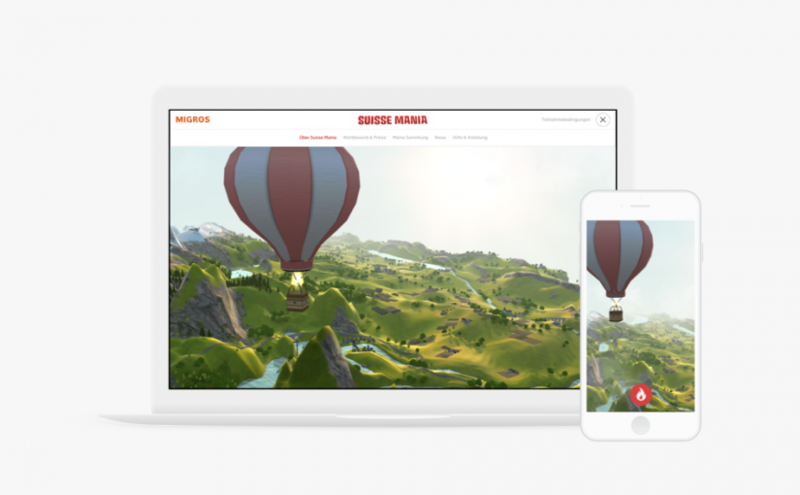 I was part of making the Suisse Mania project, making a WebGL site for Migros. It’s an experience for all ages about Switzerland and it features 54 attractions around the country. The app had three versions, a 3D, a lightweight 3D, and a 2D fallback for older devices/browsers. The 2D and the on-top UI was made by Agigen, another techy company here in Stockholm. The role I had in this project was to do most of the 3D coding. We used Goo Create (of course), and I had a bunch of graphics guys from all of the involved companies to help me do the scene beautiful. Since the UI layer of the app had all the state, it made development of the 3D app quite simple. A few custom shaders, including highlighting, grayscale, particles, icons, etc. Sounds for each monument, including tweaking the distance model equations. Deterministic particle system – that I developed specifically for this project to reduce GPU/CPU communication. Another thing that I didn’t make but is still very cool is the splatmap shader for the terrain. It uses different channels in a “splatmap” texture to blend other textures in a layered manner. The result is higher quality texturing. The alternative is rendering a very high res texture for the whole terrain, but that would not work on all devices. Distance models for sound are used to lower the volume of a sound as its distance from the listener moves from it. I discovered that one of the models in the Audio API, the linear model, was broken in most browsers. 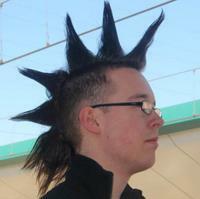 But the inverse model worked well enough. The problem was to find good parameters to make sounds die out in the distance but around 100% volume when the camera is near the sound source. 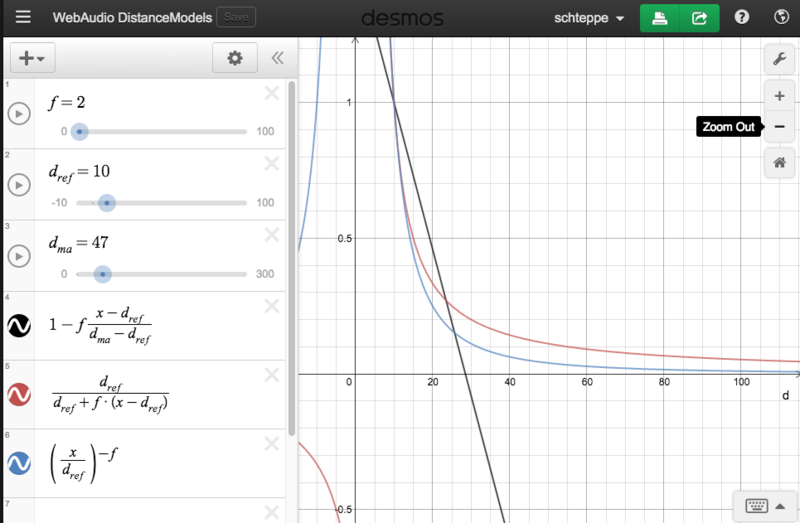 I used a graph calculator to get the right parameters for both linear, inverse, and exponential models. I’m very happy with the result we got. It was hard work, misunderstandings, mistakes and all that, but it was worth it. I met a lot of nice people and had a really good time working with the Goo and the Agigen team. I’ll just admit it – I hate writing CSS. Therefore, I baked Twitter Bootstrap into PhysicsToy. The result is prettier and gives more of a tool feeling. At the same time I shuffled around the menus. Before, all menus were stacked in a hierarchy and it became hard to use. The new version has a context based left menu box, and it is far superior to a hierarchy. To get the context menu working, I put some work into the selection system. When clicking on the WebGL canvas, the coordinates are converted to physics space, then I do an overlap test to check if something in the physics world was hit. If this is the case, it’s reported to the outer angular app, which adds the item to a selection list. It will update the context menu accordingly, and tell the WebGL renderer to draw borders on the selected items. If two bodies are selected, the context menu shows buttons for adding a constraint or a spring. This is much more useful than creating a spring and then go through two body lists to find the connected bodies. Mouse dragging does not work yet – however arrow key moving works. Even if several bodies are selected. I also added duplication – useful if you need to create many similar bodies. All of these new features speeds up the workflow in PhysicsToy. Go create something. Been thinking of releasing a game on Google Play for a while and I finally did it! I made the game in Goo Create during the last goofy friday and released it as an app the day after. 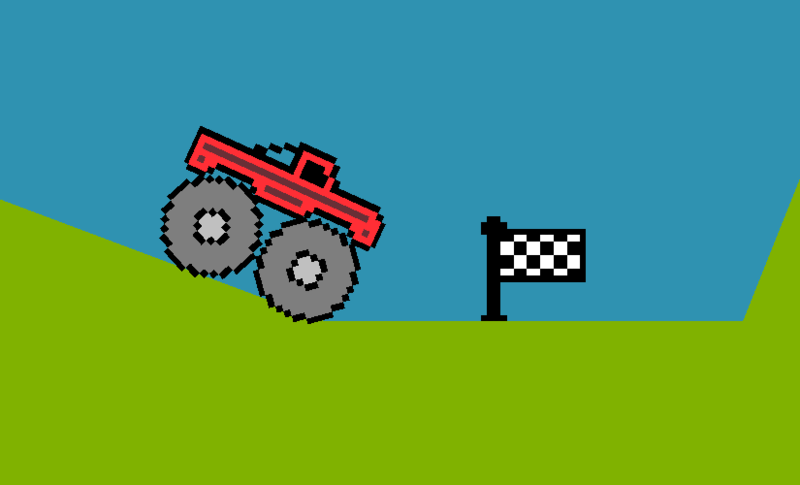 The game is called Tap Truck and the goal is to drive a monster truck to the finish line without tipping over. Get the app on Google Play or play it in your browser. And now the tech part. I exported the project from Create as a webpage. Slightly modified it and uploaded it to Ludei online compiler. I got an .apk file back which I could sign and upload to Google Play. Should make a tutorial for this. Let me know if you’d like that! 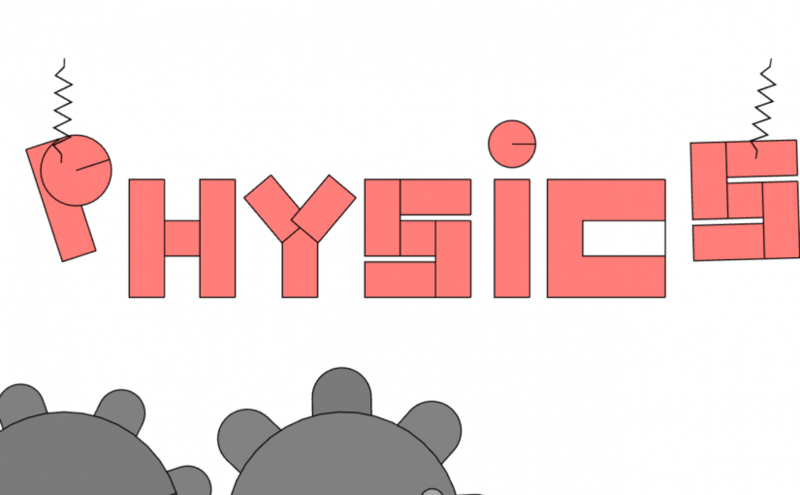 My 2D physics engine has gone a long way since I started the project on github. It’s been integrated in one of the biggest 2D HTML5 game frameworks, Phaser. It’s been starring in the official Google IO experiment for 2015. I’m just very happy and wanted to express it.